Springfield and Hartford ended up being the final result as a nice set-up of schedules will allow for a couple of new stadiums to be seen. First, I’ll wait out the local morning snow before making the three-hour trip to the Pioneer Valley. I’ve been to the Basketball Hall of Fame a few times, but never visited anywhere else in Springfield, so I’m hoping to have the afternoon to explore a little within the Metro Center (downtown) section of the city. At night, we’ll check out our 11th AHL venue at the MassMutual Center with a game between the Thunderbirds and nearby Hartford Wolfpack. Then, to fulfill my odd beginning desire to see college hockey games, American International College (AIC) fills that need as they have a 1 PM game in the same building. Amazingly, that’s the third Atlantic Hockey game I’ll see this year. Over the state border, but short in distance is Hartford and their University plays out of Chase Arena in the America East Conference. It’s a 5 PM game for them against Albany, which works perfectly for this schedule. I’m still debating the plan after the game, whether I want to drive 3 hours home in a bit of wintry weather or just stay another night in the nearby hotel and have a nice meal post-game. Hedging towards the latter. I did even consider another game on Sunday as UConn plays an hour away in Storrs at Noon. In the end, I decided against it because I don’t want to get caught in another approaching winter storm that might begin as I start heading home. Plus, UConn is building an on-campus hockey arena in a few years and I’ll check out both those venues at the same time. No Better Time to Visit Phoenix than January! On Friday, I’ll be heading to the American Meteorological Society’s Annual Meeting, specifically, the Student Conference on January 5-6, where our company will be exhibiting. This year, AMS is hosting the event in Phoenix, a welcomed destination for the many stuck in the winter blues. The portion that we are attending takes place each evening, so that limits any potential sports activities to the early afternoon’s. The Valley has several winter options that I went through: Arizona State basketball, but they weren’t home. Grand Canyon (WAC) basketball who is at home, but at an un-makeable Saturday 8 PM start. The Phoenix Suns, was potentially doable as they played Friday Night, however our flight arrives just a half-hour after tip. We considered an earlier flight, but didn’t want to leave our in-office crew in a bad spot in case we were dealing with wintry weather. Sidenote, there is quite the battle going on in Phoenix about renovations to Talking Stick Resort Arena that owners want. That brings us to the last option, who also have their own arena debates: the Arizona Coyotes. A matinee was the only hope and as luck would have it, one of their four afternoon games all year falls on Sunday, January 6th! They play the Rangers at 2 PM and we are heading to Gila River Arena in Glendale for it. While the league may bemoan their arena situation, the building looks great and it’s in a fun spot thanks to the Westgate Entertainment District right across the street. That gives us a great sports day before the conference as we’ll find a sports bar in there to watch part of the early NFL Wild-Card game before heading to the arena. This will be my ninth NHL arena and first in the Western Conference as I look forward to seeing one of the better buildings in the West. Football games in November are tricky as it is a roll of the dice for weather. The stadium experience can be awful if the weather is horrid and that thankfully does not look to be the case this coming Saturday (November 10th). I’m fine with cold and dry, plus the sunshine will help as I make my way down to the northwest suburbs of Philadelphia. That is the section known as the Main Line and it is where we find Villanova. Basketball gets all the attention and while I’m hoping to get to a game sometime soon at their redone arena that debuts tomorrow (Finneran Pavilion), I’m going to be at the football stadium on Saturday. The Wildcats frequently have had pretty good FCS teams, but this year has been strange. After a win against Temple, the team has faltered in conference play and they even were shutout in back-to-back weeks. They got a win last week and we’ll see if they finish up strong on Senior Day against William & Mary. With the Villanova game taking place at 1:00 PM, I kept my eye on schedules to see if I can find something at night. I’ve been to nearly all the stadiums in this section of PA, thus making a re-visit was the best option and there is none better than the Hershey Bears. Their home, the Giant Center, is the top Minor League Arena that I have visited in my Rankings list. That visit came all the way back in 2006 and since I’ve done a lot of refining in reviews since those first 40 or 50 visits, I’m eagerly looking forward to getting back and seeing how the Bears experience stands up. It is a beautiful arena that is built well for hockey and Hershey is always one of the AHL’s top draws, so I’m expecting it to be a great event. That game is at 7 PM and the ride in between the two locations is less than two hours, so I should be good on time. I’ll have a recap of the day next week, along with detailed reviews not long after. Friday football games may not be traditional, but they offer up the perfect opportunity for a stadium trip as they become part of a double (or triple) header. The schedule has set-up nicely for a Boston-area college football trip coming up this weekend. I say “kinda” in the title because neither campus is technically in the city of Boston. My brother will join me for an annual Fall tradition as we leave Friday Morning to reach Eastern Mass by midday. Our afternoon will be spent in Cambridge, an impressive city in its own right. We’ll see some of the sights and try to squeeze in a campus tour of Harvard University. Dinner will be somewhere in the vicinity of Harvard Square before we cross the Charles River for the 7 PM Crimson game against Rhode Island. The school may be in Cambridge, but Harvard Stadium is technically in Boston as the other side of the River is that city’s neighborhood of Allston. This will be my 7th Ivy League stadium and I’m hoping to complete the Ancient Eight next year (Brown-Patriots trip?). On Saturday, Boston College is the setting for Stadium #203 and the Eagles will take on Temple in Alumni Stadium. I had to wait awhile for the game-time announcement and the Noon start made me reconsider options. We were planning on spending time in Boston on Saturday, but by the time we navigate the T and where our car needs to be parked for the game and after the game, it’s too much of a pain and not worth the limited available time. So, we’ll just head home after BC-Temple finishes. No worries, as there are plenty of facilities within Boston that are going to give some chances to see all the city has to offer down the road. We plan on arriving on “The Heights” well before game-time to walk around BC’s campus and see the unique Gothic architecture that it is known for. Back next week with a wrap-up on how it went! We are just one stadium away from hitting #200 on the all-time Visit list! Since it’s a milestone, we want to make it a good one and I think this one will be as we visit a relatively new soccer-specific stadium for an MLS team. 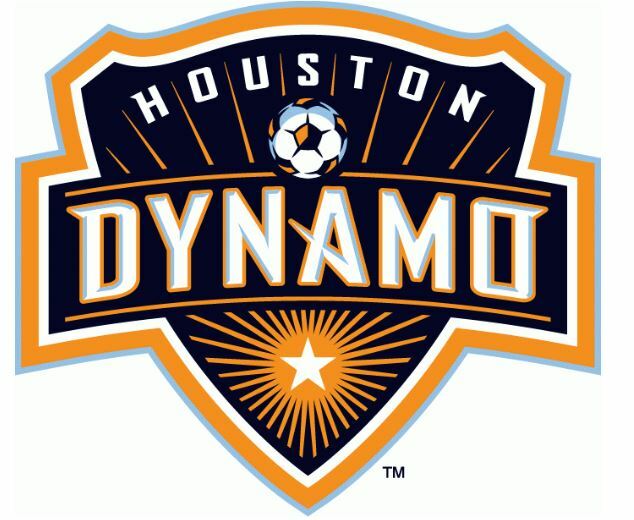 It belongs to the Houston Dynamo as we look forward to seeing BBVA Compass Stadium in the EaDo section of the city. The game is Saturday Night and Sporting KC is the opponent. Summer in Houston means that I’m thankful for the 8 PM start as I’m hoping the heat is tempered a bit (just a bit?) with the loss of sunshine. So why only one stadium visit if I’m heading all the way down to Texas? This trip is part of a vacation where we are meeting up with family to take a cruise and the ship leaves from Galveston. That journey via Royal Caribbean will take us to Cozumel, Grand Cayman and Jamaica. We’ll then head back home the day our cruise returns, though I strongly considered the afternoon Astros game, but time was too tight, especially with a little one in tow. We did want to spend some time in Houston (which is an hour from Galveston), so we decided to arrive a few days early for enough time to check out Space City. Our touring will take place in the Museum District before we grab dinner near our hotel downtown and then my Dad will be joining me for the Dynamo game. I’ll be back with a website wrap-up a few weeks later. I enjoy reaching these milestones and this one should be a little more clear-cut than the last (#100). In the early stages of this project, I was still tinkering with my obsessively detail-oriented ways of how to chronicle these visits (very much to a fault). In the beginning, I had some stadiums on here where I didn’t see a game (just saw the building) and I also had stadiums visited where the capacity was under my set standards (thanks to false advertising). The Ryan Center’s distinction of being #100 got taken away as the Visits list was cleaned up a few years later and the official #100 became Notre Dame Stadium. Both were fine picks in their own right. Anyway, that was probably all pointless gibberish and serves as a small glimpse of the things I spend way too much time on in this project. In the end, BBVA Compass Stadium is the plan for #200 and while this milestone may not be on the Bucket List, it should be a very good stadium trip nonetheless!